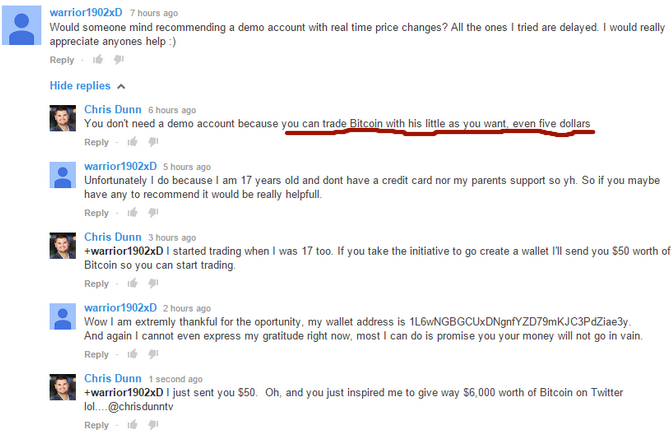 Wow, Chris Dunn Just Gave Away $6,000 Worth of Bitcoin to “Broke” Traders! I was on Twitter last night, when I suddenly saw Chris' tweet about him giving away free bitcoins to new traders. Why did he want to do it? First of all, Chris Dunn is a highly successful trader and investor. He loves trading, and he also loves teaching. He already posted a lot of videos on YouTube so others can learn how to trade. Apparently, yesterday he saw a YouTube comment from a 17-year old kid who wanted to start trading. Seeing how hungry the kid was to trade, Chris then decided to give him $50 so he could start trading right away, as bitcoin trading doesn't need a lot of money to start. Initially, he had the idea to give away $50 worth of bitcoin to the first 10 people that emailed him so they could start trading too. Then, he changed his mind and bumped it up to 30 people. But before he knew, he already received almost one thousand emails from those interested in his generous offer. He ended up having a three-hour “bitcoin giveaway session”, and he already gave $6,000 worth of bitcoin for free! Well, Chris realizes many people around the world would like to know how to build wealth and trade Bitcoin. He also knows the frustrations people have with the limitations of trading other markets. Most people don't have enough money to start trading stocks or futures. Before giving away free bitcoins yesterday, he remembered the day he started trading for the first time, when he was 16 or 17 years old. Also, his motto is to “build wealth, live well, and give back”. So, what's better than giving back to young people who are motivated to have a better life? 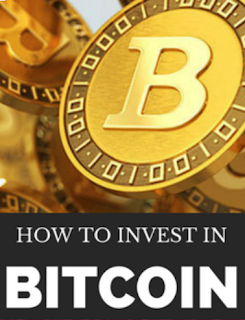 Do you want to make money from bitcoin too? According to Chris, bitcoin has been one of the most interesting markets he has ever traded. One of the reasons is that it brings down all the barriers to entry. There is no application process to open a trading account, and you don’t need thousands of dollars to start trading. You're also not pitted against Wall Street market manipulators and high-frequency computer algorithms. $6000 is a lot.. what made him do this?